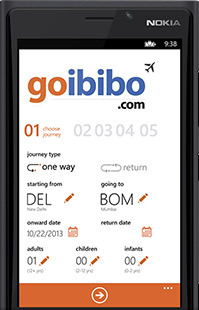 Online travel agency (OTA) Goibibo.com, part of South African digital media firm Naspers, has rolled out a travel social network on its mobile app titled, 'GoContacts' which enables users to get connected on Goibibo app using their phone books. "By launching GoContacts, we are further strengthening the network effects on the Goibibo. The 3.4 million users who have got connected on Goibibo is a testimony of the fact that we are on our way to create India's largest traveller community," said Ashish Kashyap, founder and CEO, Goibibo. Each time a user who has joined GoContacts travels by making a booking on Goibibo, all her connections are rewarded with GoCash+ bonus. And every time any of the user's contacts travel using Goibibo, then he/she is also rewarded with GoCash+ bonus. The company is also looking to expand the social network to its "user generated content pieces -- photo reviews, ratings, questions and answers â€“ which will enable GoContact members to see content generated by the community. It is also building customised privacy settings, which will enable users to decide what they want to share and what they want to keep private. In February 2016, Naspers announced an investment of $250 million in the ibibo group. The ibibo group runs bus ticketing platform redBus.in and online travel agency Goibibo.com. Last year, it had also launched car-pooling app Ryde.